Newborn sessions bring about such a strong sense of brand new wonder every time I photograph a family getting to know their new little. Claire's session day was dark and rainy, and it somehow enhanced the quiet awe that seemed to have settled into her family. 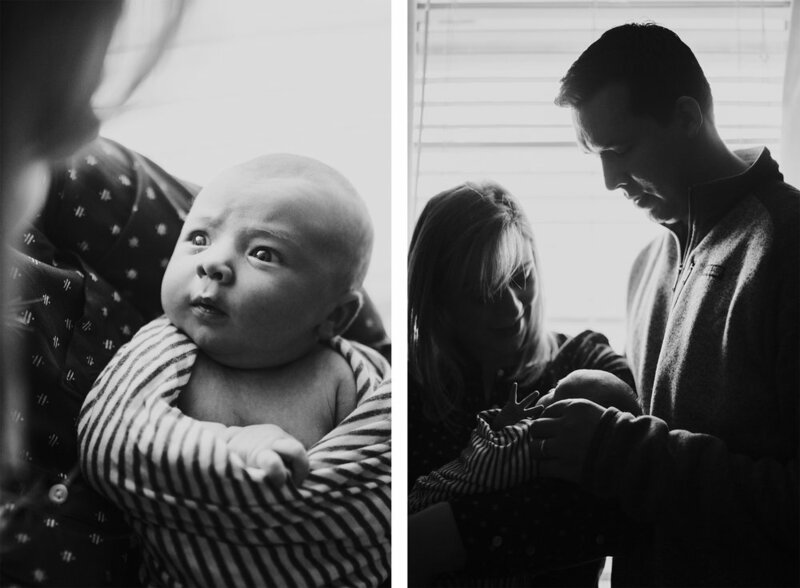 I have been meaning to share this session for months now; our whole time together was punctuated by the real kind of joy that comes with easing into a family life that has expanded to included just the right person at just the right time.